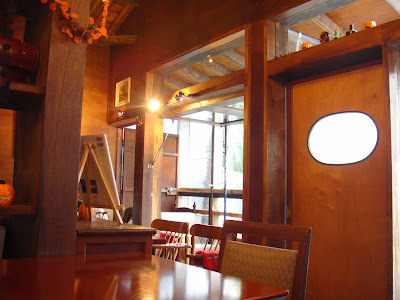 After the disappointment at Suzu Cafe last week which was very shocking indeed, we finally found another nice cafe in a remote area of east Shinjuku yesterday. We took a long walk by the north side of Shinjuku Gyoen National Garden, where we discovered a lots of pleasant restaurants too. 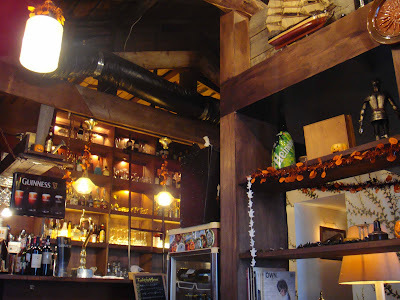 However Armwood Cottage is not located by the garden, but instead it is facing the busy main road of Shinjuku Street. As a contrast to that though, the interior is full of serenity - a very special place to spend a quiet afternoon in this giant metropolis. The food was simple but delicious, no complaint about that. 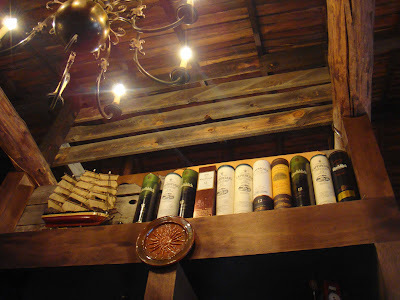 They were the usual dishes you will find in the average cafe. 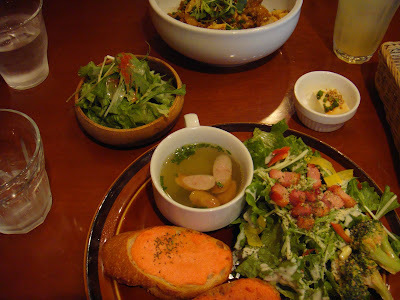 The way that seasoned cod roe served with the hot bread was very nice. I know that Armwood Cottage is an affiliated cafe of atticroom, but I think that they did a good job in creating a totally different style of cafe. 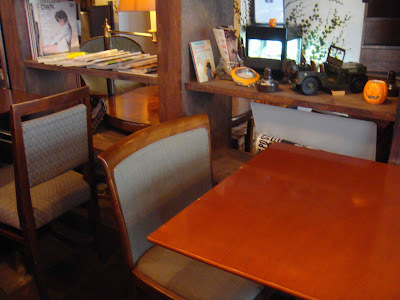 Although Starbucks or Tully's are the popular and profitable business model now, the affiliated cafe like these by attic planning could be the next step in the blue ocean (refer to the book "Blue Ocean Strategy"). There are a few attempts in Tokyo now, but whether it could be taken to the global stage (or was taken? or will be? ), I do not know. But personally I think that the beauty of this kind of attempt stays as long as it is local and small. Do you think Armwood Cottage would be a good place to spend the afternoon reading a book or studying Japanese - or does it have more of a dining only feel? Thanks - love your blog!